Fran is the current WOW Chair. 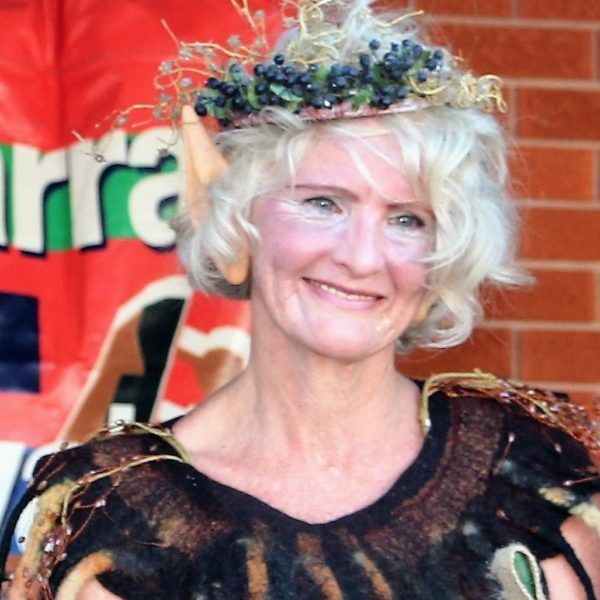 She is a graduate of NIDA (National Institute of Dramatic Arts), a street performer and the recently retired Head Teacher of Drama at Wollongong High School of Performing Arts. Fran has fallen easily into a relatively new role of playing grandmother to little Josie. A very versatile and talented woman, as well as serving on WOW’s committee and as a trainer for the Performance class, Fran is involved in a number of other educational and community groups. 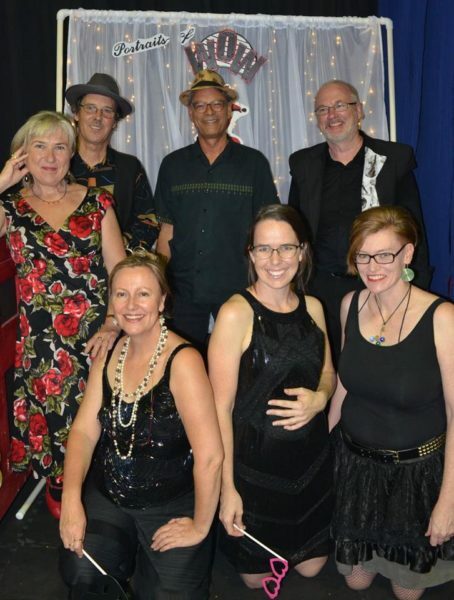 These include Speech and Drama, Illawarra Film Society and a couple of community bands. Gabrielle is a local Visual Arts and History teacher, who has worked across government, private and ‘alternative’ schools as well as UNSW and various museums and galleries. She loves to combine her skills in artmaking with storytelling and has taken her storytelling to playgroups, pre-schools, the classroom even as far as dinner parties. Gabrielle joined Circus in 2017 after being lured in by Angela to be part of the Performance Club, just in time for an International Women’s Day gig in Wollongong. Since then, she has found Stilts classes to be her new thrill. Thrown in at the deep end, Gabrielle’s enthusiasm and energy has helped the WOW committee which she joined at her first AGM. A trained screen printer with Redback Graphics and mosaic artist Sharon has been a supporter of and contributor to the cultural development of Wollongong for many years, recently helping to organise the Love, Art, Music, Politics festival at Mt. Keira. She is also a seasoned social and political campaigner who has been involved in many campaigns such as those to improve the rights of women, the unemployed and refugees. Her daughter’s interest in circus classes many years ago alerted Sharon to the presence of WOW. However in wasn’t until 2015 that she joined a hoop class and became an active member. She has since joined the performance group but hoops are still her first love. Ella, a professional bookkeeper, followed Circus WOW from afar for some time, getting the newsletter and sometimes seeing the women in action at community events and performances. When, in 2017, she offered to do the Circus WOW books in 2017 we were thrilled! It took a major challenge away from the committee, as we knew the management of our finances were in confident hands. Ella has not yet had the time to participate in many WOW classes yet but managed to get to a few hoop classes – and brought her Mum. She also managed to do a fantastic job catering at Portraits of WOW despite being hampered by injuries to both her hands! WOW women just do what needs to be done! Haley has been a member of WOW since 2013 although she has been doing circus since 2010, with breaks for having her two children. A trained high school Science teacher, Haley is currently studying Psychology at university and doing some volunteer work. Haley’s interest is in aerials. She began doing mostly trapeze but has since found her real love is for lyra. Haley’s first performance in the Portraits of WOW show was an experience she’ll treasure. It showed her how ordinary women can work together to create something extraordinary, even if they don’t feel very confident about individual skill levels. 2018 is also Haley’s first year on the committee where she’s taken the role of Secretary. Libby is a multi-award-winning visual artist. She has long been involved in community work and projects, creating the Bubbles Ball which raised funds for breast cancer in the Illawarra. She was also the the inspiration for the On the shore outdoor sculpture exhibition that was part of the Thirroul Seaside Festival. It was seeing the Stilt Mamas on really tall stilts pushing really high prams in the 2007 Viva la Gong parade more than 10 years ago that made Libby first go WOW! 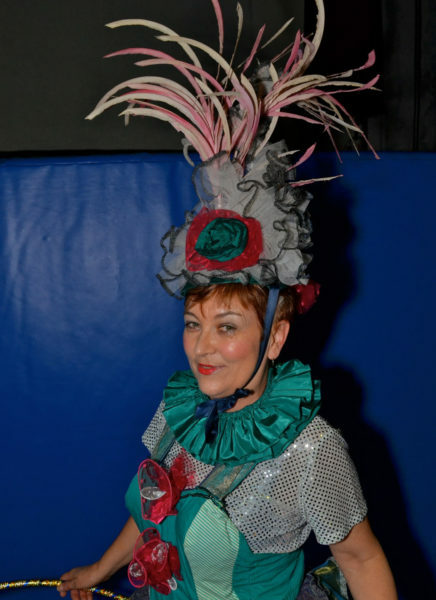 Aged 47, she joined the circus high life and is still one of the WOW stiltwalkers frequently seen at community events. Libby also does hoops, and loves to dance. As WOW’s Gigs Manager since 2012, Libby’s creativity can be seen in many details of gigs and costumes where she has a real knack for making a silk purse out of a sow’s ear, for example, a whole set of costumes out of old lampshades. In addition to organising gigs, writing quotes and proposals, Libby has written grants for WOW. What thrills Libby the most about WOW is the combination of using her creativity and physical skills along with the friendships of working with other women to do amazing things. Since Ellen started at Heidi’s Hula Hoop class in 2009 she has been hooked! Being new in town, Ellen appreciated the Circus WOW community which provided a creative, exciting and dynamic group of new pals. Ellen enjoys the range of classes on offer and has tried a bit of everything. 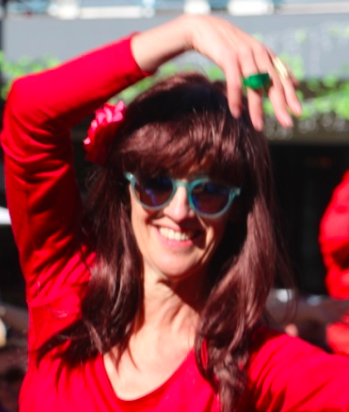 In particular, Ellen has loved performing, and highlights have been performing in the Petit Grande at Viva with the clowning and adagio groups in 2015, and as an aerialist in Shakespeare Fantasia in 2013, as well as a variety of duo and group hoop acts over the years. 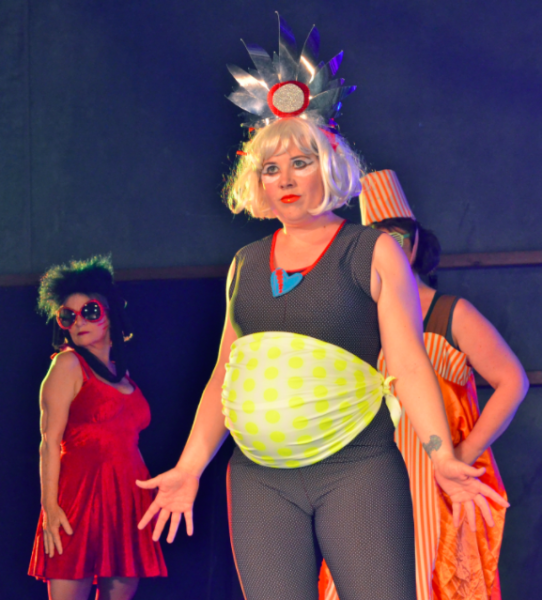 Notably, in 2016 Ellen performed at 8.5 months pregnant in One Really Big Circus Show – not even the excitement of that could induce labour on time! In the new phase of being a mum to Josie, Ellen continues to enjoy performance opportunities, and Josie seems to like being part of the act too. 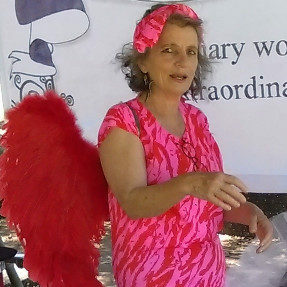 Ellen has been on the Circus WOW committee since 2010, and was President from 2012 – 2015. She was also part of the Strategic Planning focus group in 2016. Ellen is committed to Circus WOW as a women’s organisation, as it enables women to explore their physicality, strengths, creativity, and vulnerabilities in a safe, encouraging environment. Ange is a multi-talented woman – beautiful seamstress, shoe maker, philanthropist, and psychologist whom has been with WOW for many years. She enjoys costuming for Circus WOW, especially the clowning. She made the shoes and most of the clown costumes for One Really Big Circus Show in 2016. Ange has been making costumes for over 40 years, and shoe making for 10 years. She attends the Performance Club and clowning classes but took some time off in 2017 to enjoy the wonderful status of grandmother. Ange has been on the committee for many years, usually taking care of matters pertaining to renting and organisation of spaces. It was through Ange we were lucky to come under the great umbrella of SwitchFit Gym and the generous Tom and Terri Bowen. “WOW is a great group for women”. 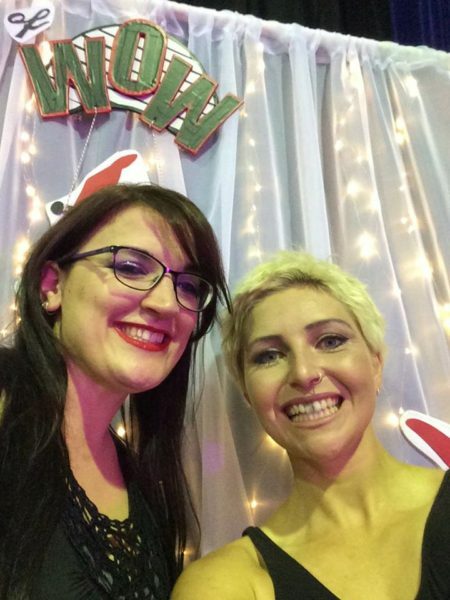 New to the area just a few years ago as a new mum with her first baby, Kobie found the WOW circus community helped her to settle in and find her feet in Wollongong. A talented aerialist, Kobie tries everything. She also does hoops, acrobalance and stilting. 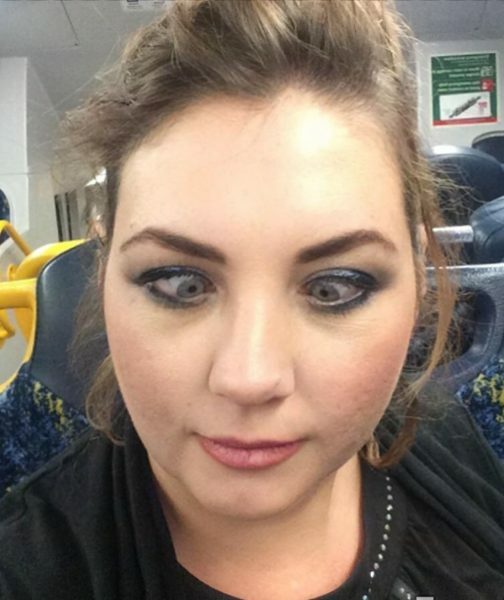 On the Circus WOW committee since 2016 and a member of the Strategic Planning focus group that year, Kobie juggles family commitments to two young sons and a hardworking husband with her uni study and WOW commitments. Kobie is always open about her boundaries but makes time to put up her hand to participate in gigs or assist with different jobs that need to be done. That has meant wearing baby son in a pouch while performing in a hoop act for an IWD event, bringing both boys to meetings, or taking a toddler for a walk in the pram to distribute WOW flyers. Contributions to the community for the good of all.